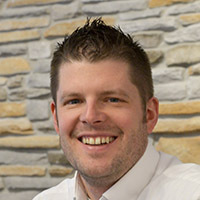 Josh Thurmer joined Cousins Subs as the director of information technology in November 2018 with a strong background in cloud-based systems and network infrastructure. In his role, Josh manages IT strategy and leads the charge in technological advancements in-store and across the network that work to improve restaurant operations. He also oversees the IT department’s support function for all restaurants and the brand’s corporate support center. Josh brings more than 14 years of experience in IT leadership, team development and operations centric customer support to Cousins. Previously, Josh held the role of IT manager at a global software company where he was responsible for global IT service delivery, support, and improvement as well as on-premise migrations to cloud technologies.